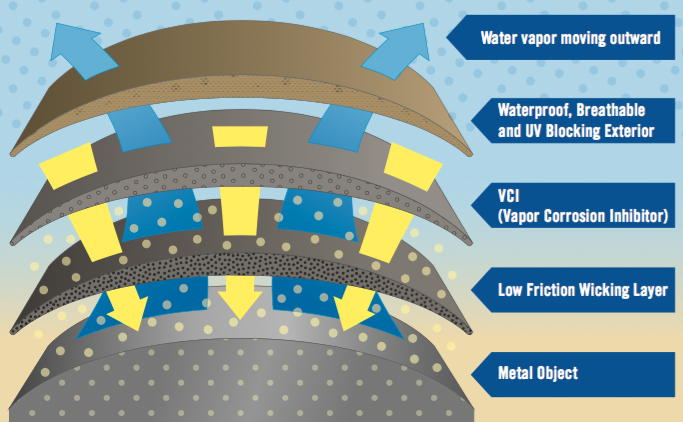 Envelop Protective Covers are the only product available that utilize the groundbreaking combination of breathability, waterproofing, and Vapor Corrosion Inhibitors (VCI) to eliminate corrosion and prevent environmental degradation. This technology was developed thru a U.S. Navy funded Small Business Innovative Research (SBIR) project to find a more effective way to protect exposed assets. Envelop Protective Covers were developed and patented as a result of the SBIR project. Envelop is a custom fit cover that can be used on nearly any asset. The material is waterproof so that liquid water cannot permeate the cover from outside, however, water vapor can pass thru the cover. The breathable nature of the cover prevents the “greenhouse” effect while reducing condensation and keeping the metal surface dry. Most Envelop covers also mitigate corrosion thru the use of a Vapor Corrosion Inhibiting (VCI) layer which emits ions that bond with water molecules preventing them from bonding with metal. This stops electron transfers thereby preventing corrosion. The ions do not bond with metal or optics nor do they affect electronics in any way. The patented technology that makes Envelop so effective is the combination of breathability and VCI. Moisture vapor transmission, the measure of breathability, alone will not lower humidity below corrosive levels inside the cover if the ambient humidity is at a corrosive level. 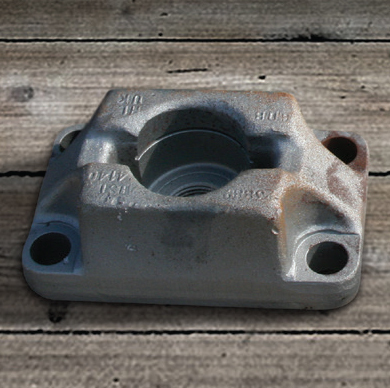 Without VCI, a cover has no ability to fight corrosion without lowering relative humidity under the cover to a level that is less than ambient. The way to most effectively protect an asset is to provide a cover with a vapor transmission rate that is high enough as to not cause a greenhouse effect while also incorporating a VCI for those cases where humidity is at a corrosive level. 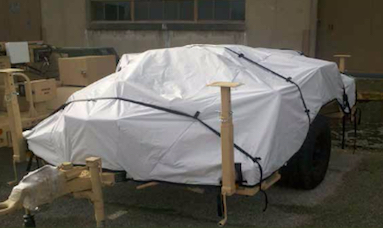 Envelop Protective Covers are the only product available that combines high moisture vapor transmission with a VCI. The Envelop solution is easy to use, similar to traditional covers used by the military, however, Envelop’s cover technology has been shown to reduce corrosion by up to 95%. In addition to corrosion protection, Envelop will protect against moisture, sand, dirt, UV, airborne pollutants, heat, cold, FOD impact, and wind. VCI layer which emits ions that bond with water molecules preventing them from bonding with metal. This stops electron transfers thereby preventing corrosion. The ions do not bond with metal or optics nor do they affect electronics in any way. VCI weave is inert and lasts for over five years. 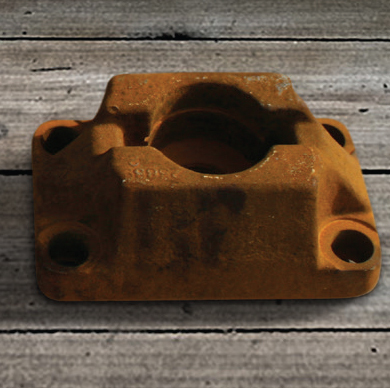 Reduces formation of corrosion by up to 95%. The waterproof membrane cannot be clogged by microscopic sand, dirt, and dust fragments. This prevents diminished breathability over time and eliminates the need to regularly clean the inside of the cover. Robust materials perform exceptionally well in tensile strength, seam strength, tensile elongation, tear resistance, puncture, and abrasion testing. The materials are resistant to degradation from grease, oils, lubricants, and cleaning agents. Cover life expectancy is over five years for ground applications with some exceeding eight years. Water, rain, and precipitation will not penetrate the cover. Passes the water column at over 13, making the cover impervious to even the most severe driving rains. Blocks 99.9% of UVA and UVB rays helping to preserve paint, coatings, wiring, grommets, and other sensitive components. Also keeps temperatures under the cover within twelve percent of the ambient temperature. The materials scored zero on Fungal resistance tests, meaning they are not conducive to mold, mildew, and fungus growth. This protects operators from exposure to potentially dangerous substances. The cover can be washed using soap and water and isopropyl (rubbing) alcohol. The materials will not absorb water ensuring ease of use for operators. 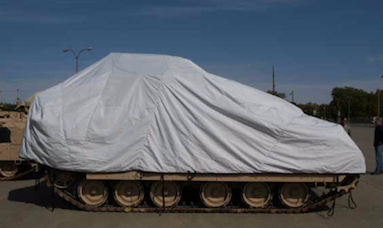 The design of Envelop Protective Covers is an iterative collaboration between Soldiers and Marines, Shield’s prior-service sales staff, and engineers. The input provided by each party means that covers will meet the rigid usability, performance, and quality standards that end-users have come to expect over the last decade. Additionally, designs are constantly being upgraded to keep pace with changes in training, operating environment, and the introduction of new technology. 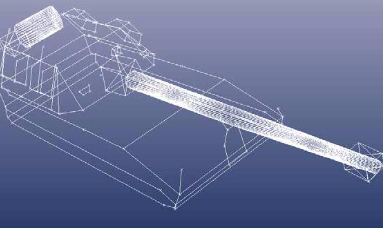 The design process begins with an engineer capturing inputs for the design, then converting them to CAD files. This process reduces the time required from concept to finished product by increasing the accuracy of the initial design and including the necessary functionality in early-stage prototypes. Prototypes are fitted with Soldiers and Marines to ensure the designs are favorable for the operating environment in which they will be deployed. Weight, accessibility, operational firing capability, packability, ease of installation/removal, and storability are just a few of the dimensions which are optimized when covers are designed. Lastly, all feedback rendered from the end-users is incorporated to designs to help war-fighters maximize the benefit they receive from their Envelop Protective Cover. The specification table displayed below shows the salient characteristics that were selected to protect the entire U.S. towed artillery arsenal. 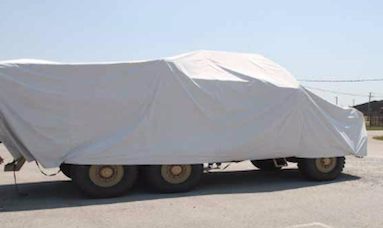 The PM for Towed Artillery Systems (PM-TAS) conducted a multi-year comprehensive evaluation of protective covers available, and determined that Envelop Protective Covers are the most effective method to provide long-lasting protection from dirt, dust, snow, wind, rain, UV rays, and corrosion. Hydrophobic wicking layer pulls moisture from surface of equipment. Non-porous membrane eliminates intrusion of corrosion causing micro Sulfur Dioxide and Chloride molecules, while preventing clogging to maintain high breathability rates throughout the life of the cover. Vapor corrosion inhibitor (VCI) releases ion that prevents oxygen molecules from bonding with equipment, reducing corrosion up to 90%. Durable outer material is waterproof, breathable, and 100% UV resistant—allows moisture to evaporate outward, thereby preventing the greenhouse effect.  In recent independent head-to-head testing, Envelop Protective Covers were proven to be the most breathable and durable product on the market.